May 1st is a day to celebrate Spring and all her glory. We didnt set up a May pole but we did put up a new umbrella to create shade on the lower deck! We also took the first of what we hope will be many Garden Conservancy tours this year. 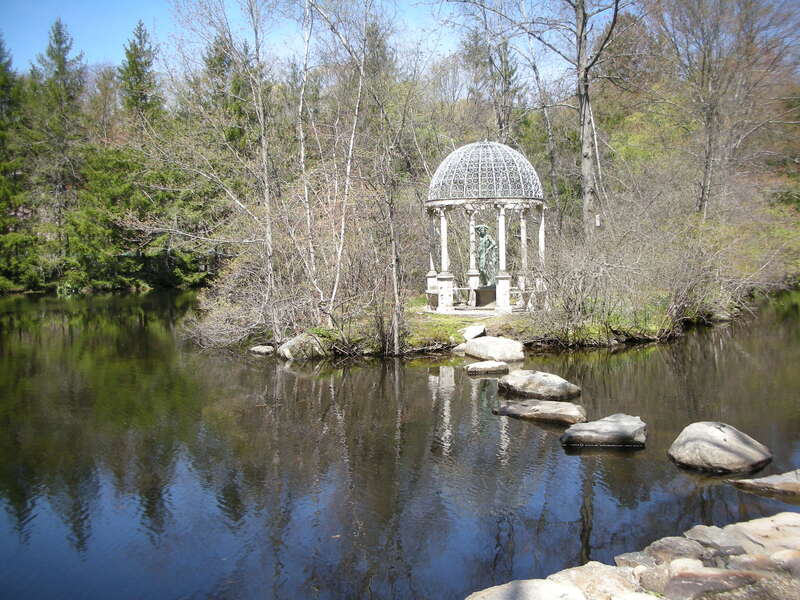 Today’s garden in Lewisboro NY…. Imagine over 200,000 daffodil bulbs planted in long, glorious drifts through 40 acres! Breath taking! Our stroll through the property was blissful as the many acres absorbed the visitors and there were moments when you were alone with just the birds’ singing. The open day tours that this organization present are a real treasure for we gardeners who love nothing more than a walk about a garden! Many are so elaborate in scope that there is little we can duplicate in our own gardens, but the joy is in seeing different interpretations and designs with familiar plants. And only $5.00/ticket! 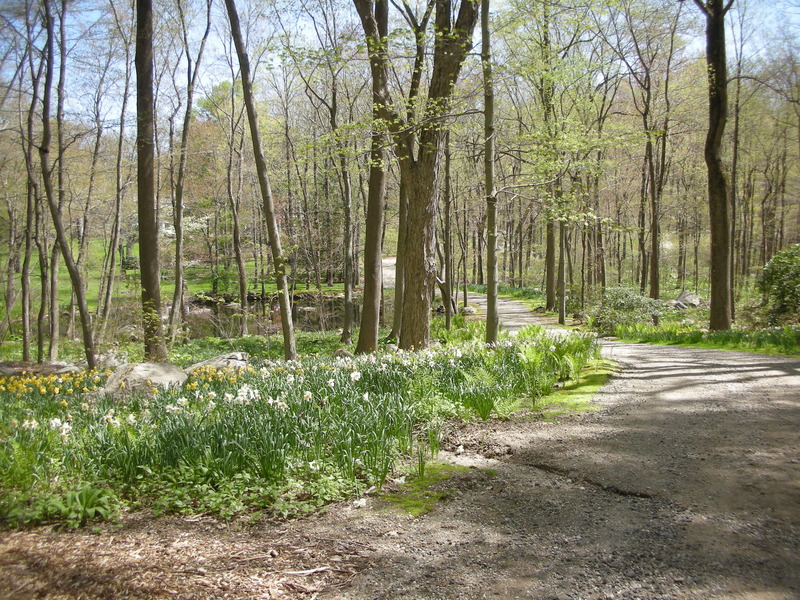 This entry was posted in Uncategorized and tagged daffodils, Garden Conservancy. Bookmark the permalink. Jayne, thanks for your post! Hope you get to enjoy many more Open Days this year and thanks for spreading the word about the Garden Conservancy.